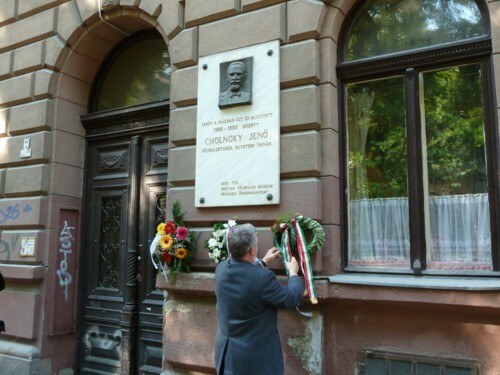 The Eötvös Lóránd University of Science paid tribute to Jenő Cholnoky, one of the most respected representative of the Hungarian geography, on a memorial day, on the occasion of 90th anniversary of his assignment as Head of Geographic Institute of Budapest University of Science. 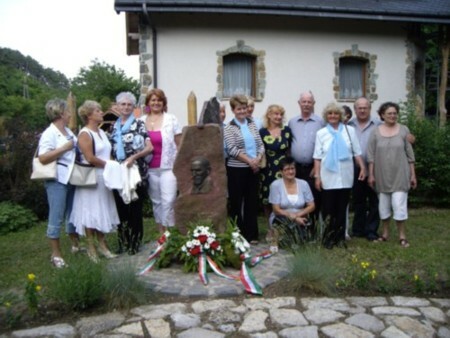 The Association of Ladies for the Balaton has established a memorial pillar in the area of Arács (Balatonfüred) in valley of Koloska for Jenő Cholnoky, the geographer, whose favorite resting place was this valley, between Thomas-hill and Peter hill. On top of the pillar there is an sculpture image of these two hills, made by the sculptor.